"Yes, My Friend, I Killed the Man"
"A Tale of Mere Chance." 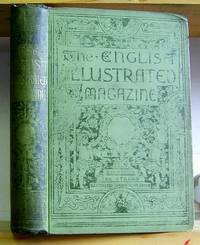 First appearance: The English Illustrated Magazine, March 1896. 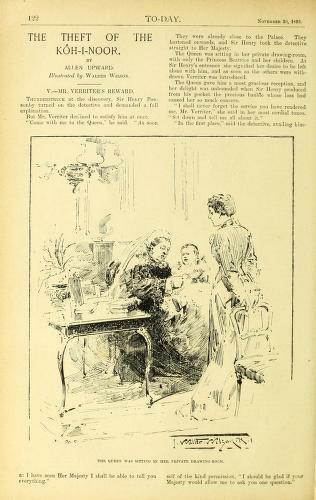 Reprinted in The Pocket Magazine, April 1896. 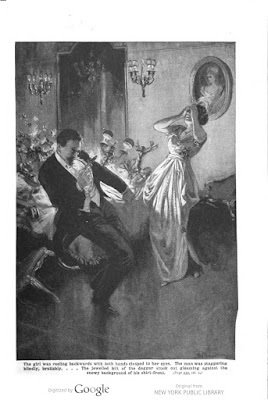 Collected posthumously in Last Words (1902) (HERE). Online at SFFAudio (HERE) (PDF), Project Gutenberg (HERE), and Online Literature (HERE). 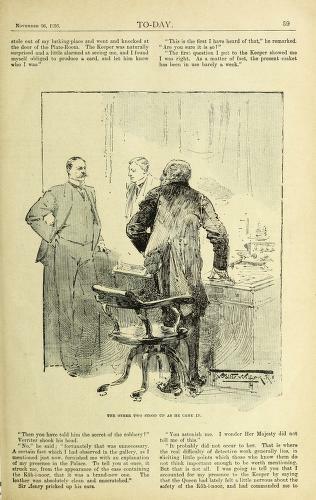 "Being an Account of the Pursuit of the Tiles, Statement of the Clock, and the Grip of a Coat of Orange Spots, Together with Some Criticism of a Detective Said to Be Carved from an Old Table-Leg." "Every man's conscience," wrote the Bard, "is a thousand swords," as our guilt-ridden narrator discovers, and they, all of them, have sharp, piercing points . . . Comment: Very reminiscent of Poe's "The Black Cat" (1843), but not nearly as good. - A favorite of college profs everywhere, Stephen Crane, as far as they're concerned, achieved literary immortality with The Red Badge of Courage (1895; HERE and HERE), although tuberculosis sealed his physical mortality at the early age of 28; see the comprehensive Wikipedia article (HERE). The bottom line: "I don't feel guilty for anything. I feel sorry for people who feel guilt." 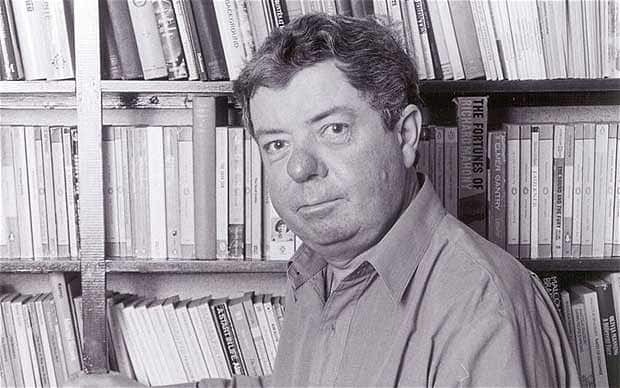 "He Was Going to Warn Himself but He Didn't Finish"
By John L. Chapman (born 1920). 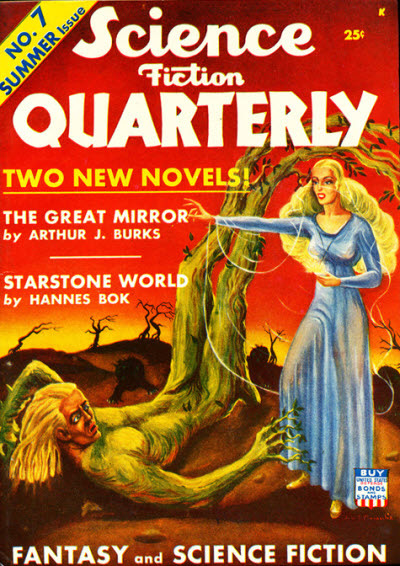 First appearance: Science Fiction Quarterly, Summer 1942. "Tahiti is a funny place for this sort of thing." There's an ancient symbol of a snake with its tail in its mouth, presumably representing infinity. Wharton should have taken the hint . 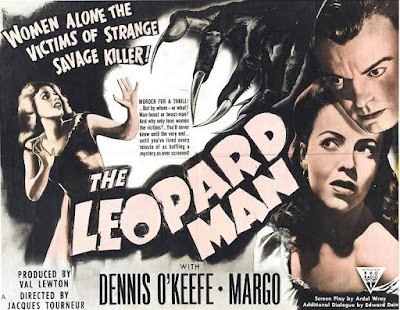 . .
- Apart from his birth year, that the "L" stands for Leslie, and that he had about a dozen SFF stories published in the thirties and forties (thanks, FictionMags), we can learn nothing else about our author. "Suppose Some Daring Napoleon of Crime Should Hatch a Startling Conspiracy to Seize the Steamer, Intimidate the Crew and Passengers, and Possess Himself of the Huge Treasure?" "The Mystery of the Thirty Millions." 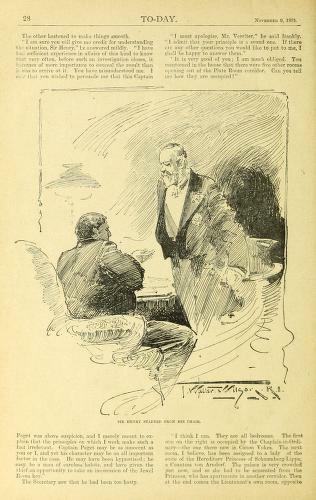 By H. D. Umbstaetter (1851-1913), with Thomas F. Anderson (?-?). 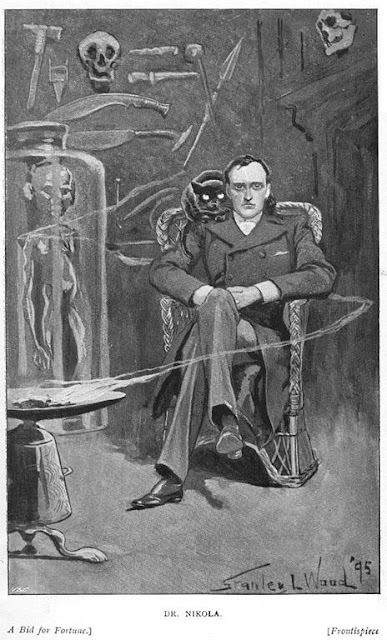 First appearance: The Black Cat, April 1896. Reprinted in The Red Hot Dollar and Other Stories from The Black Cat (1911). Online at Comic Book Plus (HERE) (select page 195 from the drop-down menu) and Archive.org (HERE). ". . . the Oklahoma was taking to the shores of insatiate John Bull the largest lump amount of gold ever shipped upon a single vessel within the memory of man." Stealing a large sum of money from a ship well out to sea is a task not easily undertaken, and many would regard it a fool's errand, considering how few opportunities there are to effect an escape. The best course of action should be obvious: steal the ship . . . Comment: A mashup of crime and science fiction that could easily have been expanded into a novel; the finale is a disappointment. - Other stories about thefts at sea that come immediately to mind include C. J. Cutcliffe Hyne's "The Looting of the Specie Room" (1900) (HERE) and Agatha Christie's "The Million-Dollar Bond Robbery" (1924) (HERE). 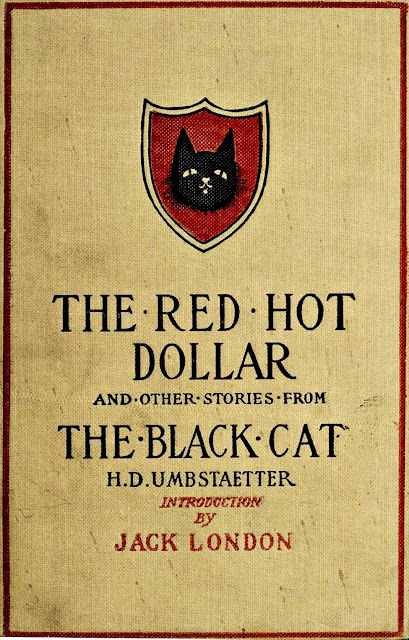 - FictionMags thumbnails our author, H. D. Umbstaetter, this way: "Born in Ohio; worked on newspapers in Cleveland, New York and Baltimore; became magazine publisher in Boston." 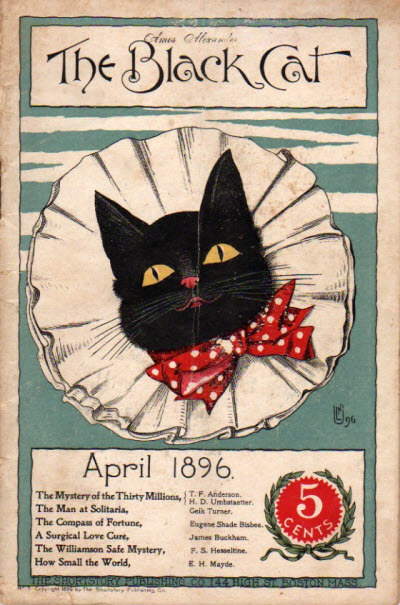 From 1895-1912 he was the editor of The Black Cat magazine, where, mirabile dictu, "The Mystery of the Thirty Millions" was first published. - The story makes a reference to "Colonel Sellers, of nineteenth century fame"; see (HERE), (HERE), and (HERE) for who "Colonel Sellers" was. The bottom line: "If gold ruste, what shal iren do?" "The Glorious Crumb of Carbon Is, Of Course, Priceless"
"The Theft of the Kôh-I-Noor." 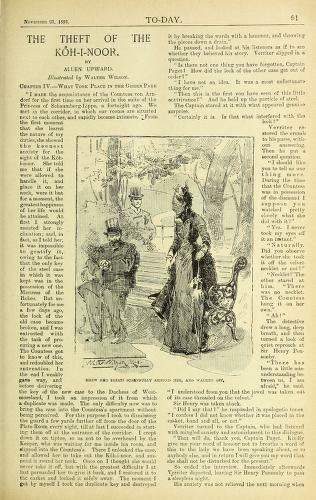 Serialized in 5 installments in To-Day, November 2-30, 1895. Short story (16 pages, 10 illos total). eminent detective, to retrieve it. "This is not the Kôh-I-Noor! It is a paste imitation!" ". . . for aught I know the Kôh-I-Noor may be in your pocket at this minute." 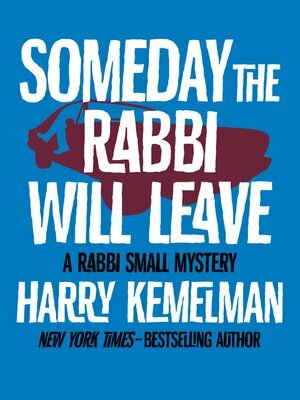 "That is where the real difficulty of detective work generally lies, in eliciting little points which those who know them do not think important enough to be worth mentioning." "Will you oblige me by feeling in the left-hand pocket, just to see if it really is there?" ". . . I am afraid that a bribe of twenty or perhaps fifty thousand pounds would corrupt a good many ladies in even higher stations." a list of available issues (HERE). "It Would Be Fairly Easy to Imitate One of Them"
First appearance: Amazing Stories, November 1956. 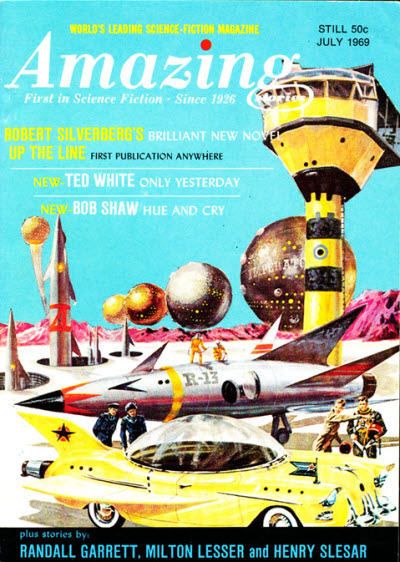 Reprinted in Amazing Stories, July 1969. "The planet looked ripe for plucking." Which is easier, breaking out or breaking in? Ghevil found out—the hard way . . .
- It was just last month that we visited with ace pulpster Randall Garrett (HERE). 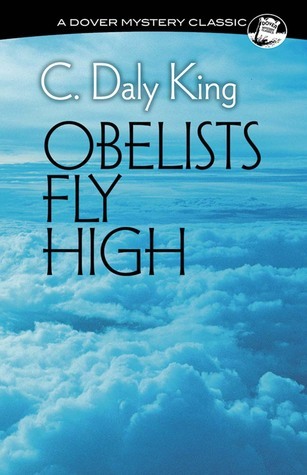 Cover image: C. Daly King's Obelists Fly High (1935). that allow us to indulge our weakness for nostalgia, and this issue is no exception. 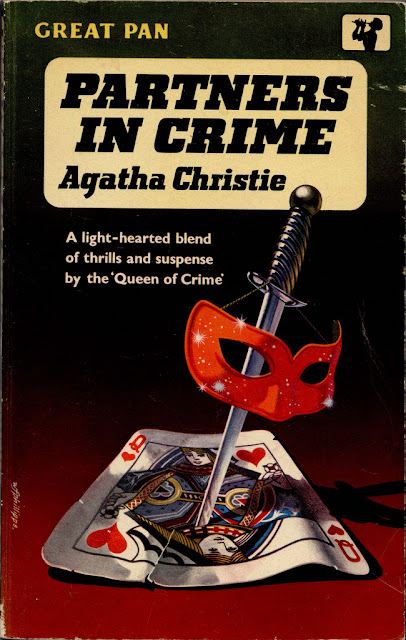 Between its covers you can find: Michael Grost's best picks of the forties and fifties; Dr. John Curran's latest about what's going on in the world of Agatha Christie, including a discussion of an awful film adaptation (1928) of a Harley Quin story; and Martin Edwards's take on his new book, The Story of Classic Crime in 100 Books. 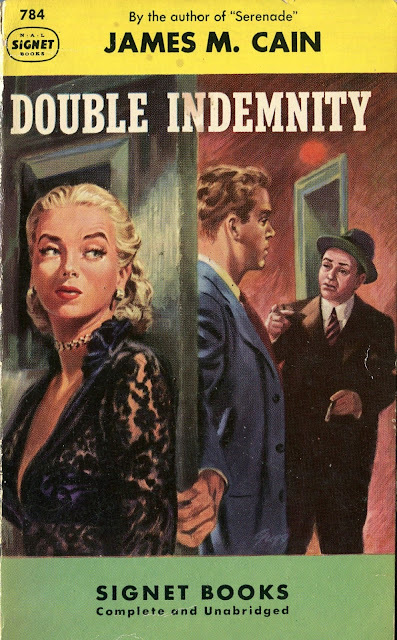 There's an Inspector Mallett short short short story by Cyril Hare that hasn't seen publica-tion for eight decades, enchanced with Tony Medawar's comments; Francis M. Nevins's take on The Leopard Man (1943), a significantly altered filmed version of a Cornell Woolrich novel; and J. Randolph Cox's substantial article about Robert Barnard (1936-2013). 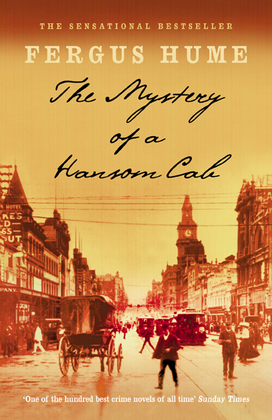 Finally there's Michael Dirda's review of a book about Fergus Hume's famous The Mystery of a Hansom Cab (1886), the one that, profit-wise, got away from him; Charles Shibuk's list of classic mysteries that deserve reprinting; and thoughtful reviews and commentary from Shibuk, Jon L. Breen, Trudi Harrov, Amnon Kabatchnik, and Arthur Vidro. Note: We've included some links, indicated by (HERE), to other websites with related information. ". 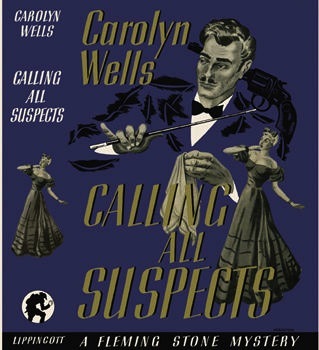 . . this area of literature [mystery/detective fiction] where action and psychological analysis have replaced plot, mystery, and genuine detection." Mike's picks for the years 1949-1956. 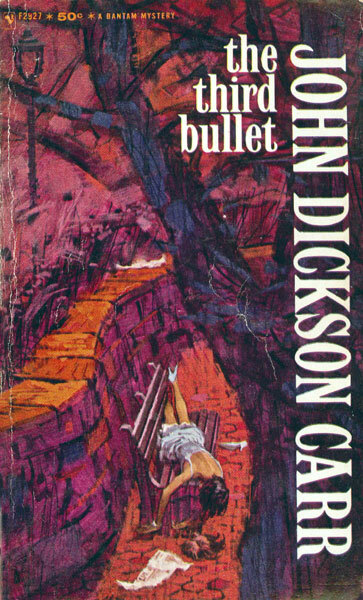 "The time is lazy, idyllic summer, and the problems are the minor matters of robbery and murder." — (HERE), (HERE), (HERE), (HERE), and (HERE). to produce new books into the seventies." — (HERE), (HERE), and (HERE). ". . . at its core it is a legitimate problem in deduction . . ."
". 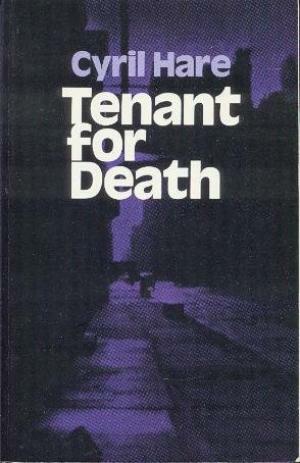 . . holds up very well for its years." — (HERE) and (HERE). ". 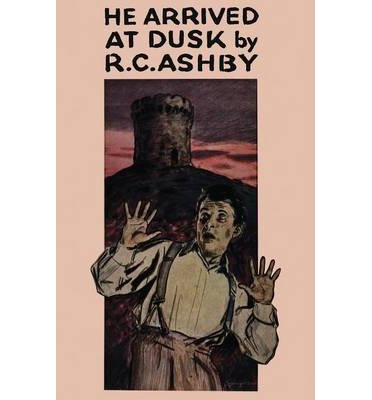 . . these novels are of high merit and are worthy of reprint." "Below is a frame from a movie . 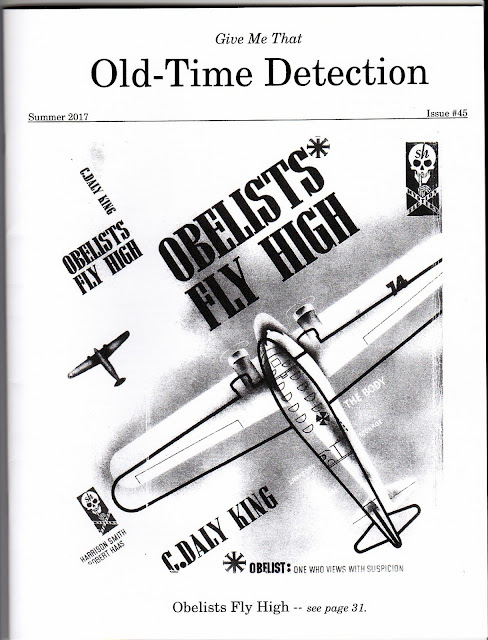 . . and yes, it ties into old-time detection." 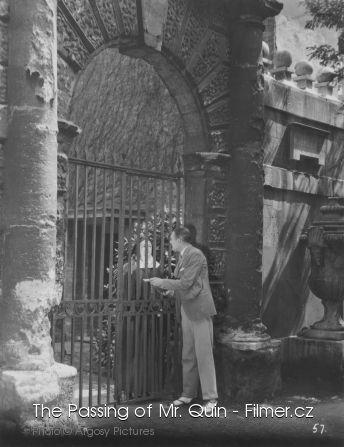 - Our last encounter with OLD-TIME DETECTION was (HERE). 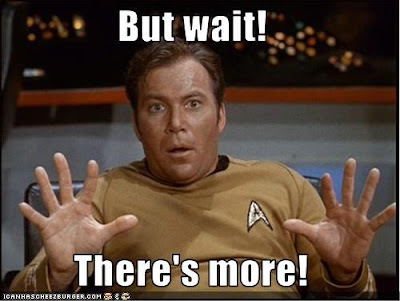 JUST A QUICK NOTE to let our regular readers know we're still here, as it's been well over a week since we last posted. Uncertainty about the path of Hurricane Irma and other considera-tions have kept us pretty busy, but we should be back to abnormal soon. Thanks to all of you for sticking with us. 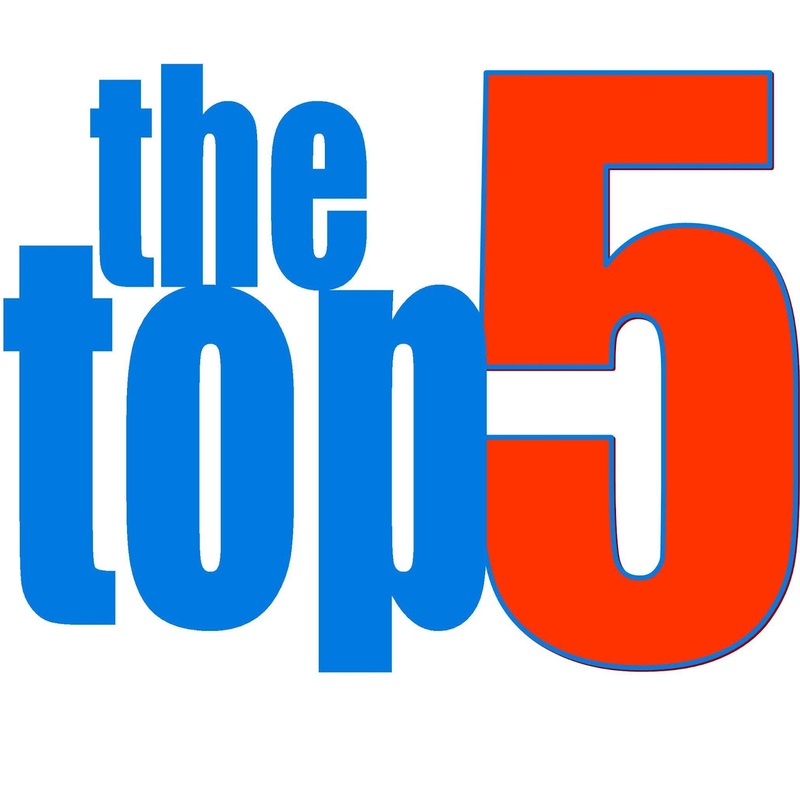 Herewith is our belated Top 5 list for July 2017, as well as for most of the previous few years ONTOS has been around. The older the posting the more likely there won't be anything at the end of certain hot links that you'll see there, something we find as deplorable as you no doubt do, but that seems to be the nature of the Internet beast. Sic transit . . .
"I Saw It All in a Dream!" 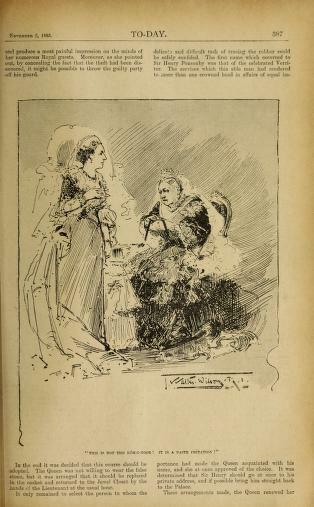 By E(dward) A. Morphy (1867-?). 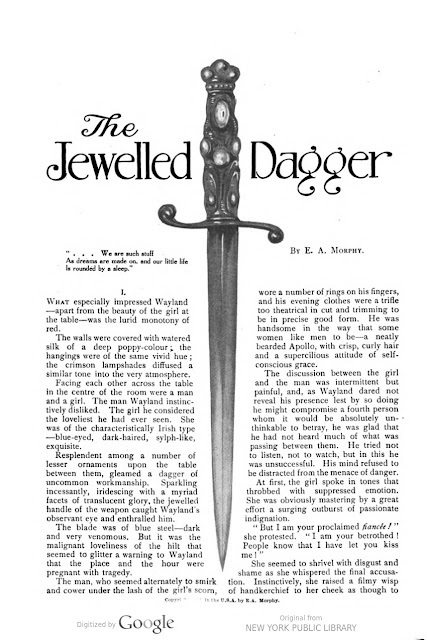 First appearance: The Royal Magazine (1914). 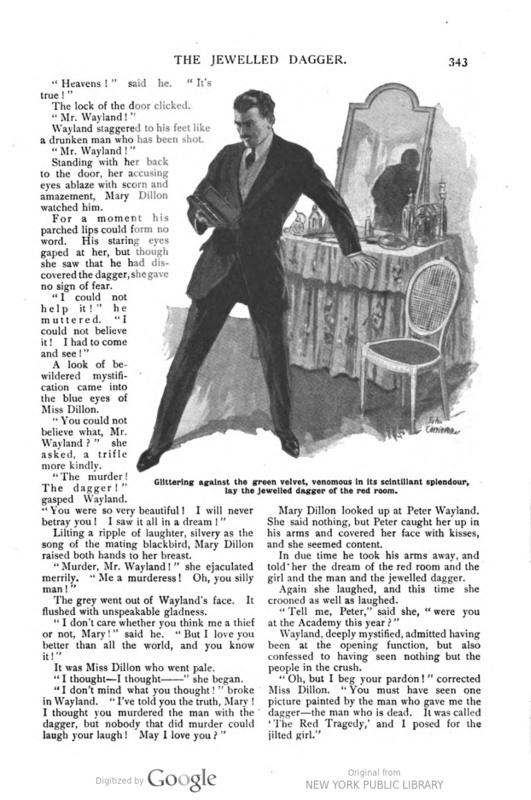 Peter Wayland has met the girl of his dreams—"for him at all events, this was the most beautiful creature the world ever saw." If only she hadn't stabbed that other guy . . .
- FictionMags characterizes our author as follows: "Writer, editor of the San Francisco Argonaut. Born in Killarney, Ireland." The bottom line: "Is this a dagger which I see before me?"